A condo construction comeback is shaping up in San Francisco. For the past two years, apartments have dominated San Francisco’s growing skyline, with more than 90 precent of the units in new towers being for rent rather than for sale. And it is pretty obvious why: The crash of 2009 wiped out condo developers across the country, leaving banks and buyers wary of risky for-sale high-rises. But this month, for the first time in five years, a developer will open a sales office for a major downtown tower. Tishman Speyer is putting the final touches on a sales center for the largest condo complex the city has ever seen. 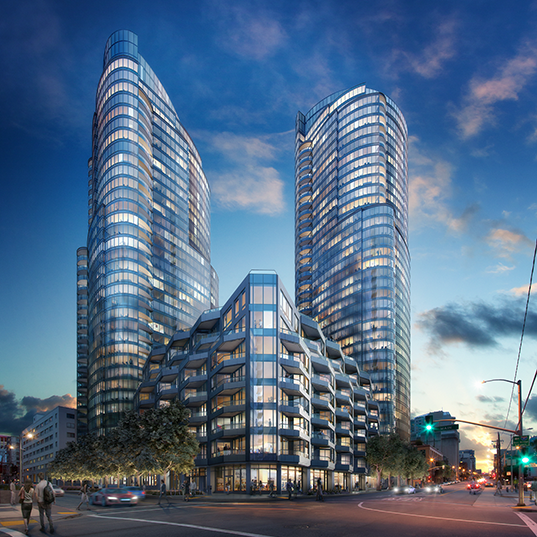 With 656 units, the four-building Lumina will test the upper echelons of the market with the most luxurious development since 2007, when Millennium Partners started selling units in its tower at 301 Mission St.